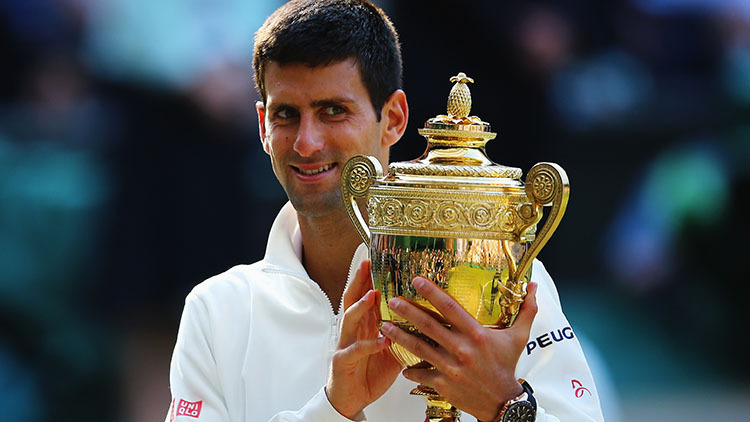 Novak Djokovic wins Wimbledon 2015 men's title. Novak Djokovic claimed his third Wimbledon title with a clinical 7-6, 6-7, 6-4, 6-3 win, ensuring that there would be no fairytale triumph for Roger Federer. Playing the role of Centre Court spoiler against Wimbledon's beloved Federer, the defending champion won a rematch of the 2014 final, capturing a ninth career major title with a 7-6(1), 6-7(10), 6-4, 6-3 triumph.Federer, a seven-time champion here and holder of a record 17 Grand Slams overall, hasn't won a major title since 2012 when he won here. Once again the Swiss maestro was confounded by the baseline brilliance from the world's best, who was champion at the Australian Open earlier this year.